The cold, dry air of winter has already begun to ravage my skin but I have the perfect antidote to my winter skin woes. And yours too! My skin is dry on a good day but in winter I have super dry skin and that, we can’t abide! 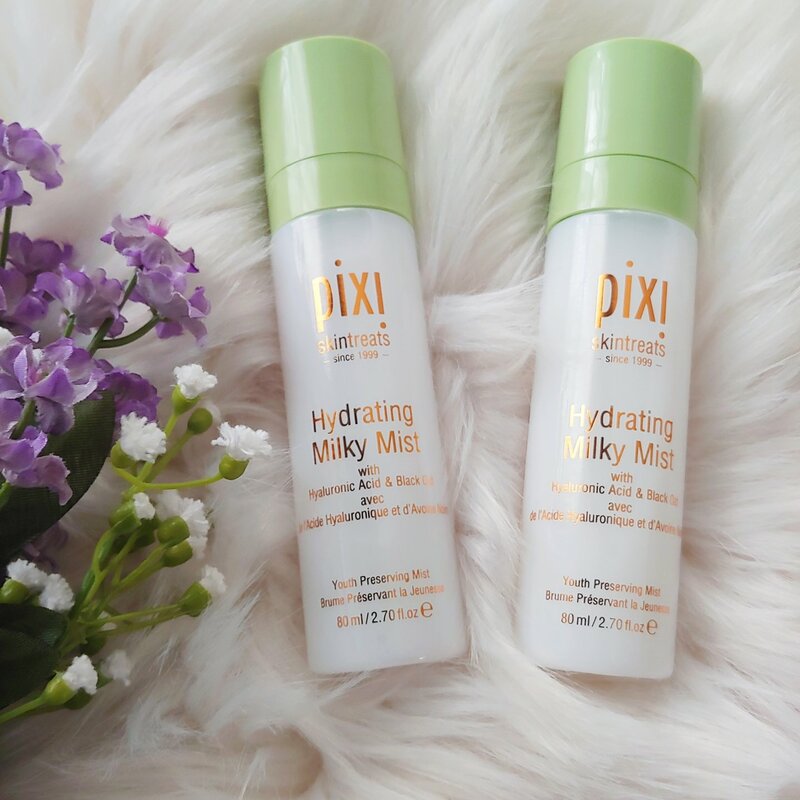 The Pixi Beauty Hydrating Milky Mist is on my Must-Have, Holy Grail Beauty Products list and today, I’m going to tell you why. 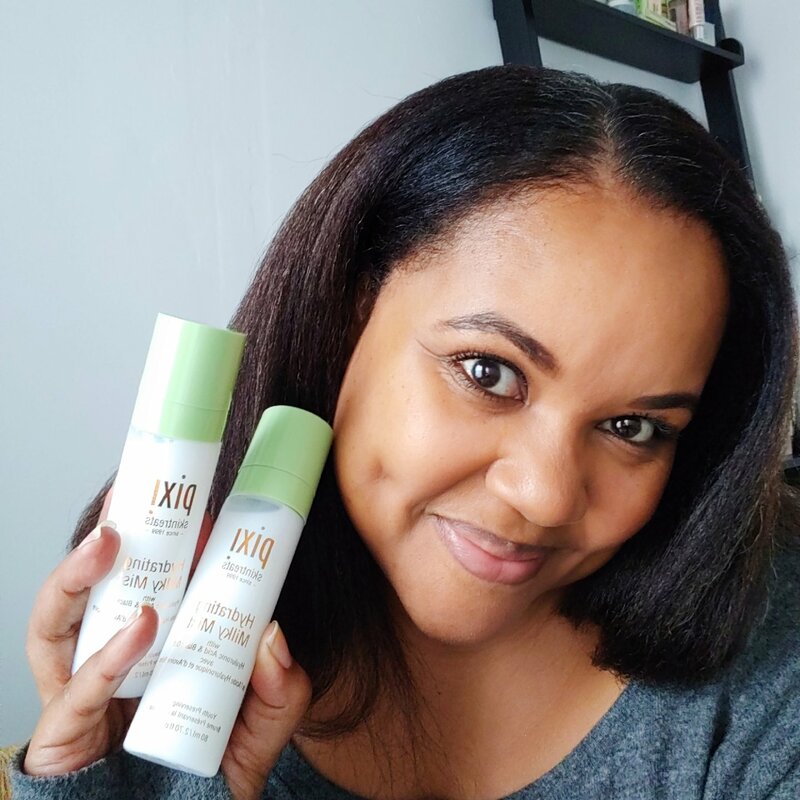 I love a beauty product that I can use all year long and this lightweight moisturizer is perfect for winter and summer months. In the summer I use it as a standalone and during the winter, I use it as part of my layered skincare regimen. What is a layered regimen? Applying more than one product intended for the same use for extra oomph. You know how you layer your clothes to stay warmer when it’s cold out? This is the same thing. I layer moisturizers to make sure my super dry skin is properly hydrated. 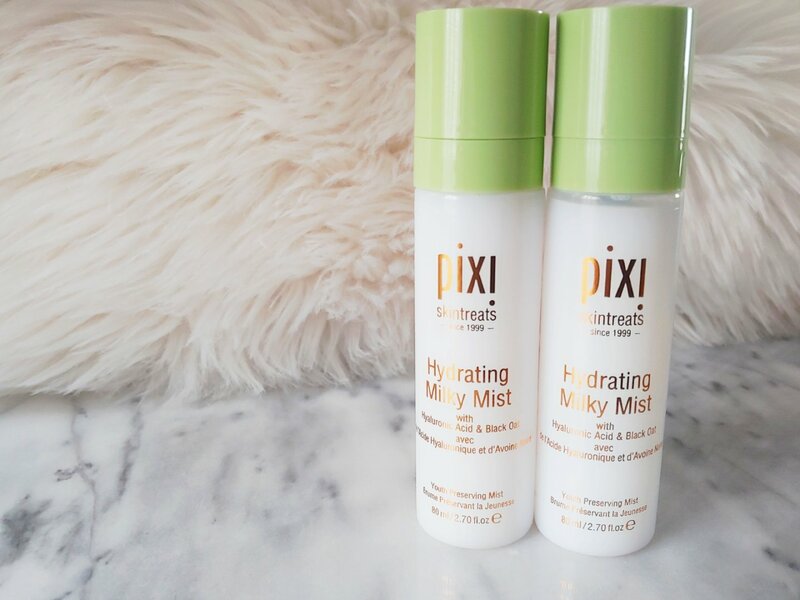 Packed with good-for-your-skin ingredients, Hydrating Milky Mist is an excellent and inexpensive skincare choice for winter weary skin. It contains provitamin A, vitamins B1, B2, and B6 and a healthy dose of hyaluronic acid to seal in moisture. The mist is super fine and lightweight and the fragrance is mild and wonderful. 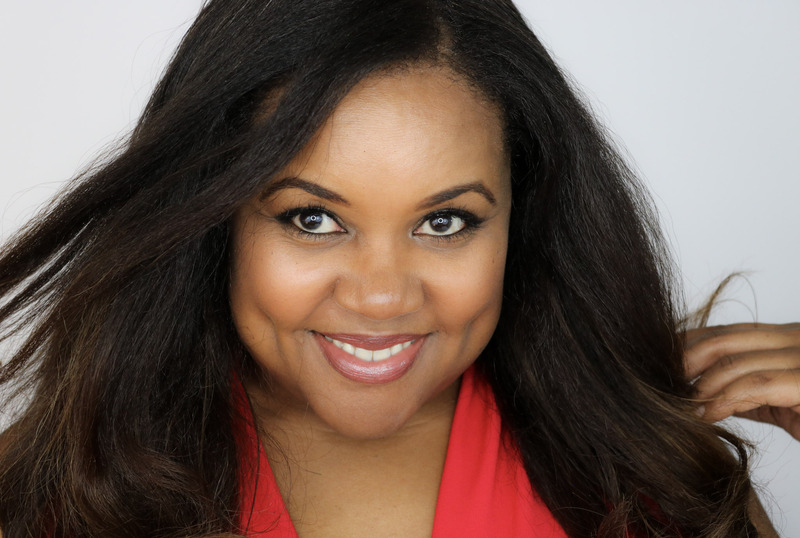 For my daytime regimen, I first apply my serum, followed by the Milky Mist, and then I apply a heavier moisturizer. If I’m heading outside for the day, I’ll also apply a sunscreen before the mist. For my nighttime regimen, I again apply my serum first, then the Milky Mist, then eye cream and finally my nighttime moisturizer. Throughout the day in winter, I simply spritz whenever I remember to, which is usually around the time that my lips start to feel dry. Let me explain. When my lips get dry, it’s a reminder to drink some water and apply lip balm. Then, of course, since I’m hydrating my insides, I also hydrate my outsides. See? Makes sense right? Right. I really like this one as an all-day moisture mist because it’s so fine and lightweight that it doesn’t disturb any makeup that I may be wearing. Perfection. I ran out of my first bottle a few weeks back and I’d been using a different mist as a substitute but things just ain’t the same. So when Pixi Beauty had a buy one, get one half off sale for Cyber Week, I pounced and bought two. I shall never run out again! 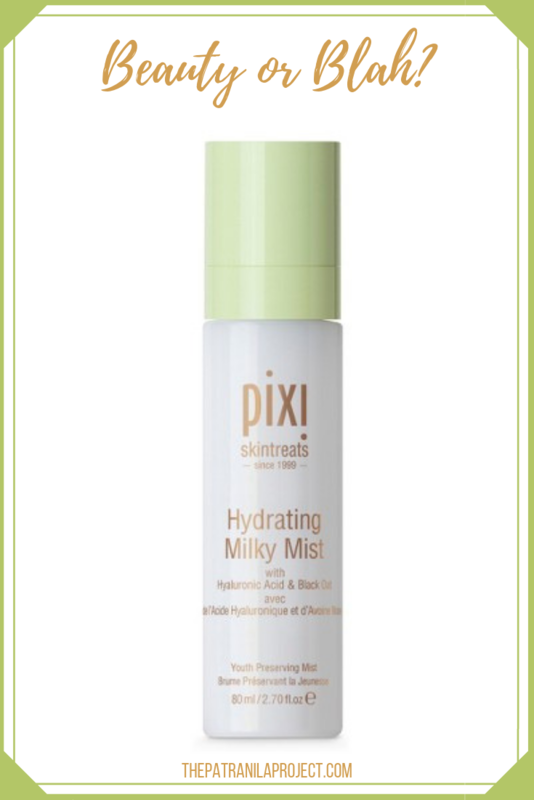 The Hydrating Milky Mist is available at Pixi Beauty and at Target. Get you some darling! I mean it. I definitely struggle with dry skin this time of the year. These products look like they would be great! I’m on the lookout for a good moisturizer especially during the winter. I will have to check this out next time I go to Target.